Lot 475 Canada #F1-F3 Collection of 2c, 5c and 8c Registration Stamps with Imprints and Counters, includes three 2c values, one with imprint at left, one at bottom and one with nice “TWO CENTS” counter at top. 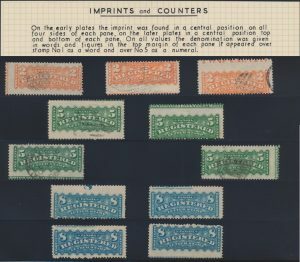 Four 5c values, three used copies with imprints at top, bottom and right plus one mint hinged copy with imprint at top. Four mint or unused 8c values, one with imprint at bottom, one with “8” counter at top (pulled perfs at right) and two with “EIGHT” counters at top. 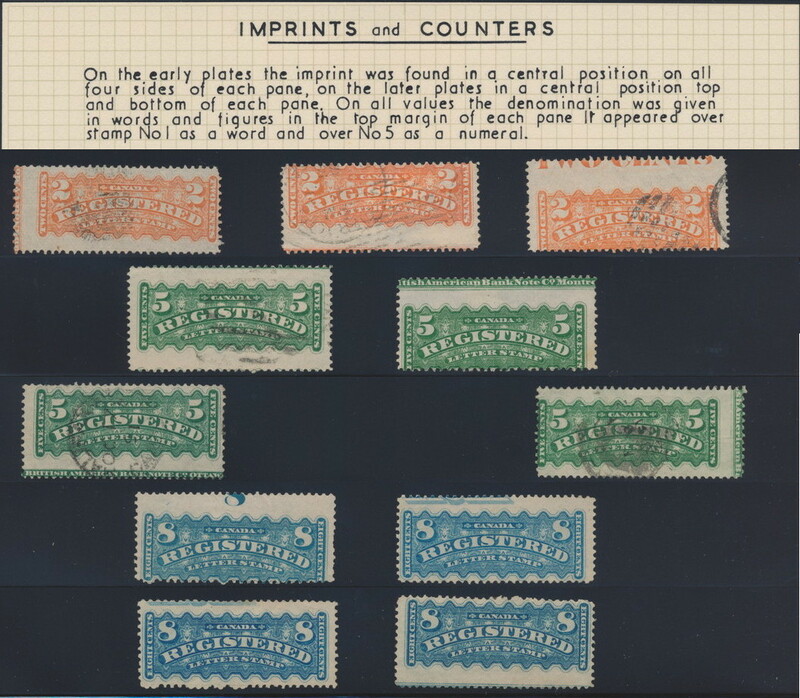 Evidently, all of these are partial, being on single stamps, but have been selected to show as much of these markings as possible, as opposed to just small portions as is often seen. A very nice group. From the Azilda Collection. Estimate $500, sold for C$2,000.00 plus 15% buyer’s premium.